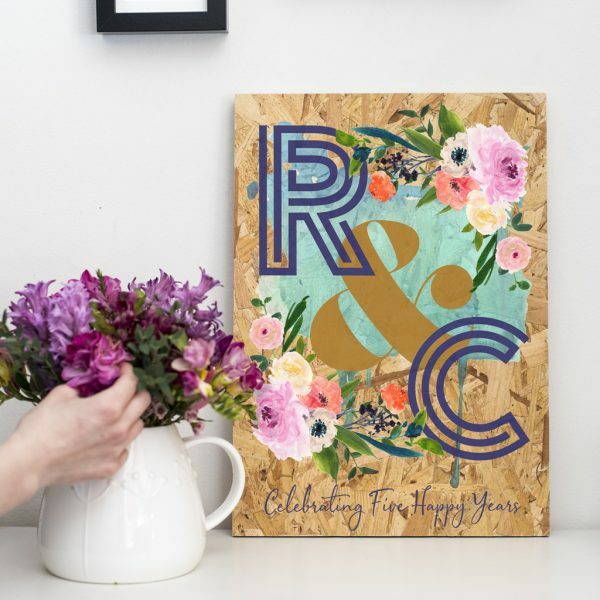 Brand new, our Personalised Wooden Married Sign makes a beautiful and meaningful wedding gift for a special couple. 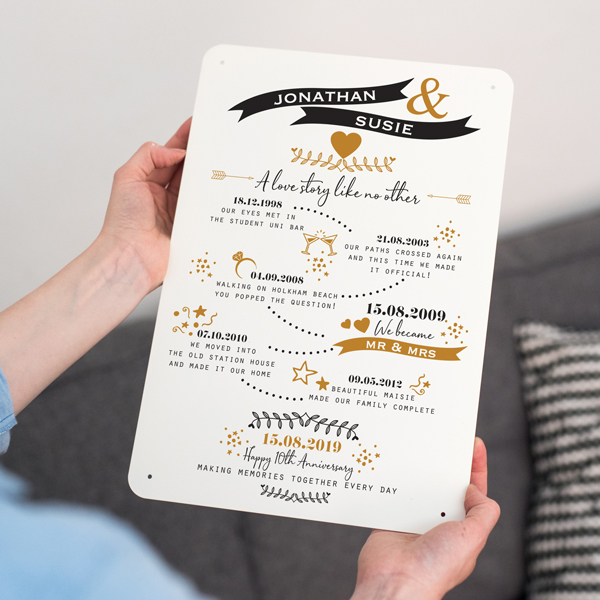 This Personalised Wooden Married Sign makes such a thoughtful and lasting reminder of a wedding day. Made from rustic reclaimed wood, each sign is hand cut, waxed and printed to order in our Derbyshire workshop and hung with a rusted wire hanger. 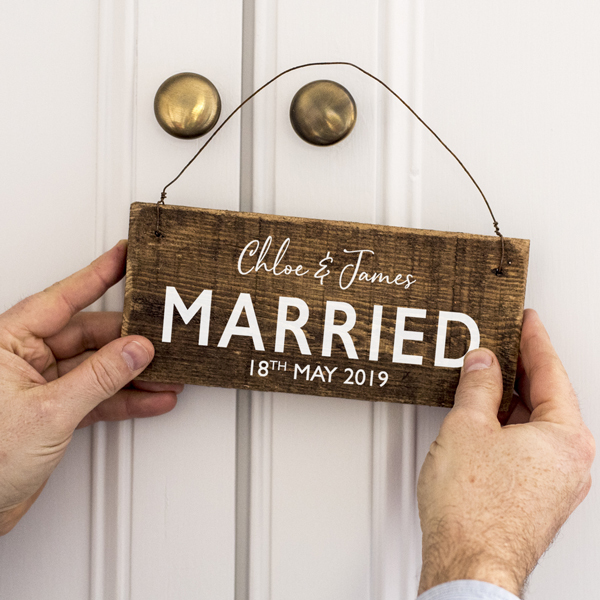 The Personalised Wooden Married Sign is completely personalised with your words. The top line features the couples names in a modern calligraphy style font. The middle line is the main line on the sign and is in a modern block capitals font – here we put the word MARRIED, or ENGAGED. Beneath this sits the bottom line; this line is in a smaller size and is the date of the occasion. The sign is hung with a rusted wire hanger and will look beautiful hung from a door knob, hook or handle in the home.